When the Laser Interferometer Gravitational Wave Observatory (LIGO) announced the first direct detection of gravitational waves, it was the culmination of 50 long years of hard work and perseverance in the face of skepticism. In her new book, Black Hole Blues, and Other Songs from Outer Space, astrophysicist Janna Levin gives us a ringside seat to how it all went down. Gizmodo sat down with Levin to learn more. Levin: And it’s two years late! It was due in 2013. I set out to write a book about black holes. I know that subject upside down. Wake me up in the middle of the night and that’s what would be in my head. But it just wasn’t working, because I got so caught up in the LIGO story. I had this hideous monster on my hands. It was partly expository and partly narrative, and I was burying so much of the narrative, because these are my friends. I didn’t want to write about them. Kip [Thorne] is someone I admire tremendously, who has been extremely kind to me scientifically, ever since I was too young to have earned any respect. To write about him like an external object was strange. It was a terrible barrier for me to overcome, psychologically. My editor said, “Why are you burying this incredible story?” It look me a long time to admit I was writing a totally different book. Once I did that, the writing went really fast. The day of the LIGO discovery, September 14, 2015, I had sent a printed draft copy of the manuscript to Rai [MIT’s Rainer Weiss] and [Caltech physicist] Kip [Thorne]. Rai asked, “What if there’s a discovery? Are you going to have to rewrite the whole thing? Maybe you should wait.” But the plan was always just to write an epilogue. I did not change the book at all. You can’t pretend to not know the ending if you know the ending. 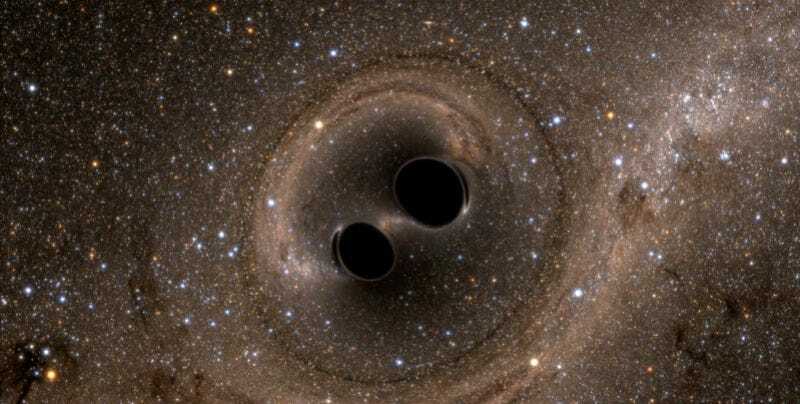 There’s so much about their anxiety, about whether or not LIGO would succeed, all those years invested and still not knowing if a discovery is coming soon or is still 10 years away. Rai had said to me in August, “If we don’t hear black holes, the thing’s a failure.” The drama would have been gone if I’d known the truth. Levin: They finally told me about it in December . I’m the only one they told officially, and it was such an honor. They knew about the book and they wanted me to have the proper ending. It was in a private message. The first thing I saw was “Confidential communication from LIGO” and I leapt up out of my seat. I was, like, “I know that what I’m about to read is going to change everything.” And then I couldn’t tell anybody! It’s always more wonderful when it’s someone else’s discovery. You don’t have all this baggage about it. Levin: First of all, the black holes are much bigger than we expected, and most people didn’t think black hole detections would be first. So we theorists started scrambling to explain why LIGO saw black holes first and why they are so big. And then there was a possible electromagnetic counterpart [for the event]. You know how when you’re listening for your phone, it’s really hard to find? But if you can see it, you know exactly where it is. Telescopes have a very tight field of view, but the gravitational wave detectors are kind of, eh, it’s from over there. So [LIGO] sent the [scientists manning these] telescopes a map: “It’s kind of over there.” And the telescopes did their best within that map to find something. There was a claim from one of the many instruments of a flicker of gamma rays in the same general area. So we were also scrambling to explain how two black holes could produce light. They’re dark—that’s the whole point. Twelve papers came out about that, none of which were mine. Other people are always faster than me. I want to do a calculation, maybe sleep on it. I’ll probably write a paper next year. One of the most heartbreaking stories in your book is the tale of Joseph Weber, the physicist who tried to detect gravitational waves in the 1950's and 1960's using “Weber bars.” He claimed to have succeeded in 1969, but nobody could replicate his results. He died in 2000. Levin: It’s a terrible story, decades of abuse followed. It’s everybody’s worst nightmare as a scientist. I don’t think he did anything dishonest. [The LIGO signal] is a very distinct wave form. You can actually hear the masses, you can hear the ring down if you slow the recording down. Weber’s instrument was just a resonance machine. It resonates in response, like a tuning fork. But it doesn’t have that structure. So it’s a lot easier to have false alarms. [His instrument] was ringing a lot. Nobody knows why. If you imagine spikes in the data, it was easy to align them between different detectors, but the false signal was huge and the statistical analysis wasn’t sophisticated enough yet to eliminate that. He thought he heard something from SN 1987A. Maybe he did, I don’t know. There were no confirming experiments. That was the problem. Everyone else’s machines were dead quiet. It’s heartbreaking because I think he was a great scientist in some ways. He was involved with the first conceptual version of the maser, which preceded the laser. The sheer boldness of trying to get this into the laboratory to measure the changes in spacetime—nobody else would have dared [at the time]. He was the pioneer. He was Ernest Shackleton and he got stuck on a metaphorical ice floe. [The Shackleton expedition] brought the wrong equipment, the wrong animals, the wrong food—it’s hard to be the first. If you read the LIGO paper, [the collaboration] credits him and I like that. It was really decent of them. You know, there’s a small group of LIGO “truthers” out there, convinced it’s all just one big conspiracy by fame-hungry scientists to hoodwink the public. Levin: No! Really? That’s hysterical. This detection was much louder than anyone expected. LIGO heard it clear as day. If anything it’s too clear. So clear that the LIGO collaboration seriously considered the possibility that it was a malicious hack—a fake injected signal. Levin: Yes. Rai said, “Look, we went through every possible scenario for how you would inject a false signal, and tried to do it ourselves.” There were only a few people in the entire collaboration with sufficient access and knowledge to do something like that, and they interrogated them all. And you have to physically attach stuff, you can’t just do this telepathically, so they looked for little black boxes and things like that. It was like a C.S.I. experiment. So there’s no physical evidence. It would be very hard to fake a signal without being caught. And I don’t think anyone in the collaboration has that sophisticated a criminal mind. In fact, when they did a [deliberate] blind injection during the test run [of the earlier version of LIGO], they screwed it up a little. They got the orientation wrong. When Hubble [Space Telescope] takes a photograph, people don’t say, “I don’t trust the math.” Even though most of it is false color—[data for] that image has been translate and analyzed and stuff has been subtracted—when you see it, you just go, “There it is.” The visual sense, it’s so immediate, and we’re so reliant upon it. But you can hear [the LIGO signal] clear as day if they slow it down. I think eventually people will feel the same way [about LIGO signals] as they do about a photograph from the Hubble telescope, or from a radio telescope.